This week, we will highlight an Illness Narrative from the September 2016 issue of the journal (available here). Here we feature Ellen Badone, David Nicholas, Wendy Roberts, and Peter Kien’s article “Asperger’s Syndrome, Subjectivity and the Senses.” To read the full article, click here. 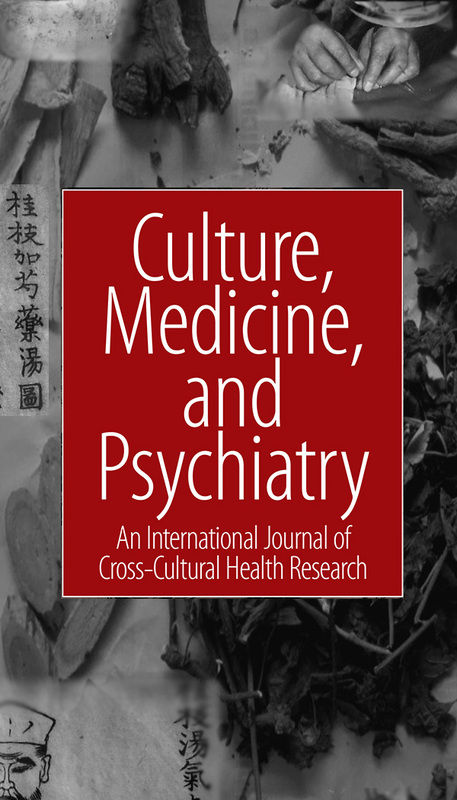 As previous blog highlights suggest, the intersections of research and illness narratives are important to an anthropological perspective on subjectivity and experience. Badone and colleagues situate their article within narrative phenomenology. They discuss how constructing an illness narrative gives patients and families hope, and frames their experiences in a positive direction. The personal narrative, then, allows individuals to express their agency in hostile structural and environmental settings. The narrative also serves as a valuable first-hand account from which medical anthropologists can learn more about the subjective experience of illness. The authors perform a close reading of an autobiographical narrative recounted by Peter, a young man diagnosed with Asperger’s Syndrome, a type of autism spectrum disorder (ASD.) Badone and colleagues aim to describe Peter’s case to widen understandings of the lived experience of people with autism. Responding to Olga Solomon’s 2010 article “Sense and the Senses: Anthropology and the Study of Autism,” this paper calls into question key assumptions in the clinical and popular literature about ASD relating to theory of mind, empathy, capacity for metaphorical thinking, and ASD as a life-long condition. Badone and colleagues begin with a brief history of the diagnostic label of ASD, then describe the ethnographic-autobiographical process. Peter, the pseudonym chosen by the young man whose story is told in this article, reflects on his life experiences and articulates his awareness of autism and its impact on his life. An important recognition that Peter makes is that he senses many of the places he encountered were characterized by the “opposite of accommodation.” In the context of his elementary and high school for example, Peter describes how his need for calm and respite were disregarded in the noisy, abrasive environments. But it is Peter’s mother who is his metaphorical, and social, link to the world he felt dislocated from. Peter describes how it was his mother’s love and guidance which kept him alive and motivated to improve his life. As Peter continues to narrate his experiences, however, he begins to intentionally seek out interactions in unwelcoming social environments. To Badone, Peter’s later decisions to submerse himself in activities that he found difficult, such as unexpected social situations and interactions, was an unconscious therapeutic response. This response mirrored the principles of cognitive behavioral therapy (CBT). To Badone’s astonishment, Peter had unintentionally started a treatment regimen to gradually lessen his anxiety, decrease his “meltdowns,” and become more independent. But to do so, Peter had to alter his own connection to a social environment that initially felt closed to him. Badone and colleagues conclude, upon analyzing Peter’s narrative, that quality of life improves when individuals with autism are allowed to flourish in a social milieu of acceptance and understanding. Through the narrative, and through phenomenological examination of moments in Peter’s life, Badone and Peter hope to foster understanding and to urge others to create inclusive communities where social interaction is supported and individuals are not made to feel unwelcome. They seek to make autism more coherent to the non-autistic world and thereby to promote the larger ethical goal of creating flexible communities open to accommodating neurodiversity. This week on the blog, we revisit a guest commentary piece written last year by M. Ariel Cascio, PhD (originally posted here.) Dr. Cascio is an anthropologist specializing in the cultural study of science and biomedicine, psychological anthropology, and the anthropology of youth. Her research explores the biopolitical dimensions of autism and autism-related services in northern Italy. She can be reached at ariel.cascio@case.edu. In the 21st century, anthropologists and allied scholars talk frequently of the biologization, cerebralization or neurologization of psychiatry. Many make reference to the 1990s, the “Decade of the Brain” that closed out the last century. They talk about “brain diseases” as a dominant discourse in discussions of mental illness. The 2014 Annual Meeting of the American Anthropological Association hosted a panel on “reflections on mind and body in the era of the ‘cerebral subject.’” In these and other ways, scholars write and talk about increasing dominance of brain discourses in discussion of psychological and psychiatric topics. This dominance has historical roots, for example in German (Kraepelinian) psychiatry, and authors in Culture, Medicine & Psychiatry and elsewhere have written about the historical context and local manifestations of this dominance of the neurological in the psy- sciences. In this blog post I explore a situation in which neurology and psychiatry have long co-existed: the Italian field of neuropsychiatry. While the field “neuropsychiatry” is not unknown in the United States, and similar terms are used in other countries as well, I offer some comments specifically on the Italian context. The example of Italian neuropsychiatry provides one case of a particular historical relationship between neurology, psychiatry, and psychology that would be of interest to any historical or anthropological scholars of psychiatry. The Italian medical system distinguishes between neuropsychiatry and psychiatry, neuropsichiatria infantile and psichiatria. Neuropsichiatria infantile (child neuropsychiatry), abbreviated NPI but sometimes referred to simply as neuropsichiatria (neuropsychiatry), addresses neurological, psychiatric, and developmental problems in children under age 18. Psichiatria (psychiatry) treats adults starting at age 18. As such, it is tempting to simply distinguish child and adult psychiatry. However, neuropsychiatry and psychiatry actually have distinct origins and practices. As the names imply, neuropsychiatry links neurology and psychiatry. Adult psychiatry, however, does not. While Italian psychiatry has its roots in early 19th century organicist and biological approaches, in the 1960s a younger generation of psychiatrists, most prominently Franco Basaglia, aligned themselves with phenomenology and existential psychiatry. These psychiatrists crystallized their ideas into the ideology of Psichiatra Democratica (Democratic Psychiatry) and the initiative of “Basaglia’s Law,” the 1978 Law 180 which began Italy’s process of deinstitutionalization, generally considered to be very successful (Donnelly 1992). While childhood neuropsychiatry is indeed the counterpart to adult psychiatry, more than just the age group served differentiates these fields. If Italian psychiatry has its roots in Basaglia and the ideology of democratic psychiatry, neuropsychiatry has its roots at the turn of the 20th century, in the works of psychiatrist Sante de Sanctis, psychopedagogue Giuseppe F. Montesano, and pedagogue Maria Montessori. In this way, neuropsychiatry’s origins bridged psychiatry and pedagogy (Bracci 2003; Migone 2014). Giovanni Bollea has been called the father of neuropsychiatry for his role in establishing the professional after World War II (Fiorani 2011; Migone 2014). Fiorani (2011) traces the use of the term neuropsychiatry (as opposed to simply child psychiatry, for example) to Bollea’s desire to honor the distinctly Italian tradition and legacy following Sante de Sanctis. Moreover, neuropsychiatry is known for being multidisciplinary and working in equipe, teams of psychiatrists, psychologists, social workers and so on. It incorporates psychoanalysis, psychotherapy, dynamic psychology, psychological testing, social interventions, and more (Fiorani 2011). This extremely brief overview outlines key characteristics of Italian neuropsychiatry and the ways it is distinguished from Italian psychiatry, as well as from U.S. psychiatry. Italian neuropsychiatry provides one example of a long-standing relationship between neurology, psychiatry, psychology, philosophy, and pedagogy. By drawing attention to this medical specialty and the complexities of the different fields it addresses, I hope to have piqued the interest of historical and anthropological scholars. I include English and Italian language sources for further reading below. Donnelly, Michael. 1992. The Politics of Mental Health in Italy. London ; New York: Routledge. Feinstein, Adam. 2010. A History of Autism: Conversations with the Pioneers. Malden, MA: Wiley-Blackwell. Levi, Gabriel, and Paola Bernabei. 1997. Italy. In Handbook of Autism and Pervasive Developmental Disorders. 2nd edition. Donald J. Cohen and Fred R. Volkmar, eds. New York, NY: John Wiley & Sons. Nardocci, Franco. 2009. 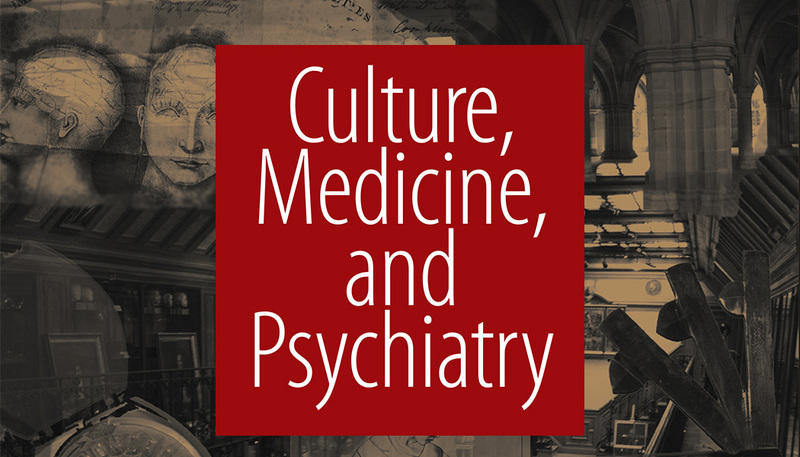 The Birth of Child and Adolescent Neuropsychiatry: From Rehabilitation and Social Inclusion of the Mentally Handicapped, to the Care of Mental Health during Development. Ann Ist Super Sanità 45: 33–38. Bracci, Silvia. 2003. Sviluppo della neuropsichiatria in Italia ed Europa. Storia delle istituzioni psichiatriche per l’infanzia. In L’Ospedale psichiatrico di Roma. Dal Manicomio Provinciale alla Chiusura. Antonio Iaria, Tommaso Losavio, and Pompeo Martelli, eds. Pp. 145–161. Bari: Dedalo. Fiorani, Matteo. 2011. Giovanni Bollea, 1913-2011: Per Una Storia Della Neuropsichiatria Infantile in Italia. Medicina & Storia 11(21/22): 251–276. Migone, Paolo. 2014. Storia Della Neuropsichiatria Infantile (prima Parte). Il Ruolo Terapeutico 125: 55–70. Russo, Concetta, Michele Capararo, and Enrico Valtellina. 2014. A sé e agli altri. Storia della manicomializzazione dell’autismo e delle altre disabilità relazionali nelle cartelle cliniche di S. Servolo. 1. edizione. Milano etc. : Mimesis. This week, we are featuring a special guest blog post by M. Ariel Cascio, PhD. Here, she discusses neuropsychiatry in the Italian context and within the United States. M. Ariel Cascio is an anthropologist specializing in the cultural study of science and biomedicine, psychological anthropology, and the anthropology of youth. She recently successfully defended her dissertation on autism in Italy at Case Western Reserve University. She can be reached at ariel.cascio@case.edu. Her blog, written in Italian and English, can be viewed here: https://arielcascio.wordpress.com/.